Over his career, Mr. Marderosian has amassed nearly 40 solo jury verdicts trying cases involving auto accidents, construction accidents and defects, and consumer and other fraud claims. He has won numerous trial verdicts before judges in various contract and other business disputes, and has handled several appeals, includin g giving oral arguments to panels of appellate court justices. 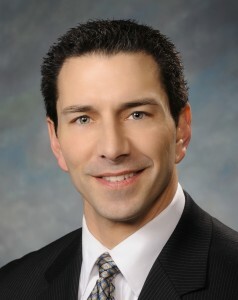 Mr. Marderosian has prosecuted successful cases involving real estate and title disputes, contested estates, employment discrimination in federal court, and the unique and novel area of parental alienation. In conjunction with Ms. Marderosian, he also has represented criminal defendants successfully in DUIs, drug and paraphernalia possessions, and other matters, and also has obtained favorable settlements in personal injury, wrongful death, and defamation cases. While Mr. Marderosian’s vast trial and appellate experience benefits his clients in litigation itself, it also has equipped him uniquely to represent businesses as a general counsel, and individuals as a personal attorney. He applies his knowledge of countless actual trial and appellate court outcomes to anticipate issues and troubles and negotiate terms to help his clients solve problems and limit or avoid litigation. His litigation expertise provides an unmatched ability to evaluate disputes and determine cost-effective resolutions based on bottom lines and risk management concerns. Mr. Marderosian began his practice with a mid-sized Chicago law firm where he won numerous solo jury verdicts defending against personal injury claims arising out of auto and premises accidents. He then worked with a large Chicago firm, continuing his solo and co-counsel jury trial success in complex injury defense, professional liability, commercial litigation, and related appeals of trial court decisions and verdicts. Mr. Marderosian then joined a mid-sized boutique Chicago law firm where he expanded into general counsel business representation. He focused his practice in corporate law, business contracting and consulting, and a full spectrum of commercial and business litigation including real estate, unfair business practices, finance, trade secrets, and other intellectual property matters, as well as appeals of trial court rulings. Mr. Marderosian then moved his practice to Wheaton where he joined the partnership of one of the largest law firms in DuPage County, Clingen Callow & McLean, LLC. There he continued his general counsel practice, expanding into title and estate litigation, employment law, and contested business dissolutions. He also began developing his personal injury and property damage practice, including parental alienation, construction defects, contract disputes, and other personal litigation matters. He currently remains Of Counsel to Clingen Callow & McLean. With his wealth of personal injury and commercial litigation expertise, as well as his vast general business counsel experience, Mr. Marderosian consummated his aspiration of launching his own practice by joining forces with his wife, Kendra T. Marderosian, to form Marderosian Law LLC. This firm’s practice draws on their combined 30 years of legal experience, including Ms. Marderosian’s as a former State prosecutor and private attorney practicing in injury defense litigation, white collar criminal defense, real estate, and securities litigation. Mr. Marderosian’s approach to performing legal services is simple: Provide clients with decades of big Chicago and mid-sized law firm experience with the close and personal attention only a small firm can provide. He becomes not only an advisor to business and personal clients, but also their partner in addressing legal issues and solving problems. Marderosian Law LLC was created precisely to provide big firm experience with small firm attention.